Lesley enjoys using her legal skills to find solutions to the unique personal planning challenges her clients bring to her. She concentrates her practice in the areas of estate planning, estate and trust administration, and probate. 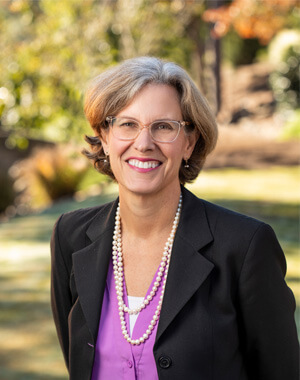 As a South Carolina Certified Specialist in Estate Planning and Probate Law, and a past chair of the Greenville Estate Planning Council, you can rest assured Lesley possesses the knowledge and skill necessary to precisely implement the best solution for your needs. She advises clients on a variety of estate planning techniques to meet their tax, family and philanthropic objectives. Lesley also advises clients regarding probate, estate and trust administration and protective proceedings. While Lesley takes pride in delivering excellent legal work for her clients, she believes there’s more to her role as an attorney. She is ever mindful of the personal nature of her profession and the challenges and difficulties faced by her clients and their families. She strives to care for each client beyond simply achieving their goals. With over 30 years of experience in her field, Lesley is able to bring a level of empathy and understanding to her clients that’s hard to find. Lesley is dedicated to the Upstate community and currently serves as a Girl Scouts Mountains to Midlands board member. She loves cycling, frequently rides the Swamp Rabbit Trail, and enjoys exploring other parts of the country through the Rails-to-Trails network. Lesley’s legal expertise, strong communication skills, and empathetic approach bring her clients a great deal of peace of mind while planning for and working through all estate and probate-related matters.